Mystery thriller sequel directed by Ron Howard and written by David Koepp which follows the famous symbologist Robert Langdon (Tom Hanks) on a trail of clues tied to the great Dante himself. When Langdon wakes up in an Italian hospital with amnesia, he teams up with Dr. Sienna Brooks (Felicity Jones), with his knowledge of symbology, he hopes to regain his freedom and lost memories, all whilst solving the most intricate riddle he’s ever faced. Together, they race across Europe and against the clock to foil a deadly global plot. Bertrand Zobrist: Now is the time, today is our rebirth. Bertrand Zobrist: Dante’s hell isn’t fiction, it’s prophecy. Bertrand Zobrist: Humanity is the disease, Inferno is the cure. Christoph Bruder: We think he was part of something much bigger. There was a package in his pocket. Robert Langdon: And what was it? Christoph Bruder: A puzzle specifically designed for you. Sienna Brooks: And what’s the last thing you can remember? Robert Langdon: I had some kind of accident. I can’t remember anything. Sienna Brooks: It’s your head trauma, imagination, memory, everything tumbles together. Robert Langdon: I found this in my jacket. We’re opening it. Robert Langdon: Zobrist, American billionaire. Sienna Brooks: And he said someone needed to take action. Robert Langdon: He has left this map. Robert Langdon: Is this supposed to be a challenge? Sienna Brooks: It’s Dante’s Inferno. Robert Langdon: This is what I have been seeing. Robert Langdon: Dante defined our modern conception of hell seven hundred years ago, but these circles of hell have been rearranged. Why don’t they wipe this map of hell? Dante. Dante’s death mask. Yes. Robert Langdon: Look, look, look. This is not in the original painting. Robert Langdon: I want to know what I’m involved with. 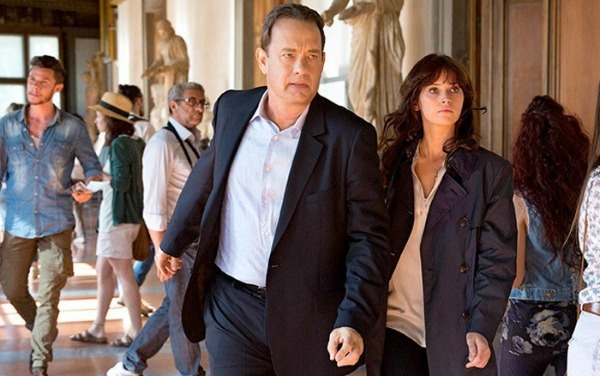 Robert Langdon: We’ve got to get to Florence. Robert Langdon: I know why I’m in Florence. There’s nine locations, this is the first. Robert Langdon: I need access to the Dante mask. Museum Curator: The Dante mask is no longer here. It was stolen. Here’s the security footage. Elizabeth Sinskey: Professor, that looks like you! Robert Langdon: I have no memory of taking that mask. Sienna Brooks: You did. I just saw you. Sienna Brooks: Why was someone shooting at you? Robert Langdon: Everything is out of focus. Harry Sims ‘The Provost’: Where is Professor Langdon now? Harry Sims ‘The Provost’: And in possession of the tube? Harry Sims ‘The Provost’: Professor, you’re having visions, aren’t you? The people behind this will do anything to protect the truth. You have no idea what they’re capable of. Robert Langdon: Oh, my God. Dante’s Inferno isn’t fiction, it’s a prophecy. Robert Langdon: Zobrist created a plague. Sienna Brooks: If a plague exists do you know how many governments would want it and what they’d do to get it? Harry Sims ‘The Provost’: Without Professor Langdon, no one can find the virus. Robert Langdon: Oh, my God. Elizabeth Sinskey: Don’t trust anyone. Sienna Brooks: [to Langdon] Human lives are at stake, I just want to know that I’m on the right side. Elizabeth Sinskey: Then we only have forty-eight hours to stop extinction level event. Robert Langdon: I will do everything I can to find it. Sienna Brooks: What if they find you first? Robert Langdon: They’re going to wipe out half the world’s population unless we find this virus. Robert Langdon: This map it’s a trail so I can find it. Sienna Brooks: [to Langdon] You won’t be trust your own thoughts for a while. Sienna Brooks: Human lives are at stake. Sienna Brooks: There’s always a way out. Sienna Brooks: It’s nice to have you back, professor. Robert Langdon: The greatest sins in human history were committed in the name of love. A seriously boring movie from the beginning to the end, but sadly this is a real lost of time to watch when you expect a quality movie. From a disappointed customer. This is the most underrated movie I have ever seen. 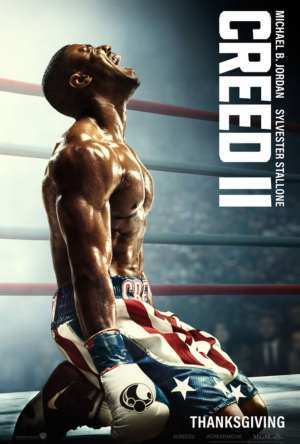 This movie is amazing. If you look at reviews of Inferno, you will see a lot of negativity. However, people forget somethings about movies. Here is what I like. First, there is a lot of action. It may not be an epic fight scene from an action-packed movie, but then again, Inferno isn’t supposed to be an action-packed movie. It’s a mystery. For a mystery movie, there is quite a few awesome scenes. Second, I like the story line. The story line may be a little confusing to people, but that is how Dan Brown writes. If people aren’t hating on The Da Vinci Code and Angels and Demons, then they shouldn’t hate Inferno. I love good story lines. If there isn’t any major plot twist, then the story line is bland. Inferno has an amazing one. Third, I don’t care about how the book is. There are a few different scenes with a couple of major ones changed, but again, this is Dan Brown’s style. Respect it. I don’t see any of you critics having the guts to write a book and make a movie. Don’t forget, movies are difficult to make, especially based off of a book. You need to keep a few things but change a few. People expect more from movies that have books. You can’t have everything in a movie. Was the book a little boring at times? Yes, I admit. However, it’s only at parts describing the area. Without it, the story would be more bland. I don’t know who can hate this. When I saw this, I cried with joy. Be respectful.